With the proliferation of high tech devices in our homes, and powerful smart phones in our pockets, some may say that we have less time with family and friends considering how connected we are. I, on the other hand, look at technology as a huge time and money saver in my life, although my wife may disagree with the money saving aspect, as I like the latest and greatest. With the holidays in full swing, we will first discuss how the Internet and technology can save you a few bucks. These suggestions will be of benefit year round, not just during this time of year, as these days every dollar saved makes a big difference. than you can find locally. 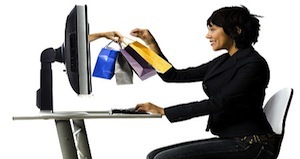 With the lack of overhead that brick and mortar businesses struggle with, e-commerce companies can undercut prices. 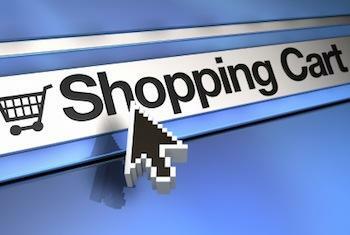 Most sites provide free shipping during the holidays if not year round, thus not cutting into the savings. Amazon also provides one year of Amazon Prime free for many users which upgrades their free standard shipping to unlimited two day shipping on most products, getting them in your hands that much sooner. Other than saving dollars on merchandise and lack of sales tax, consumers don’t have to trek down to the mall, thus saving money on gas and hours upon hours of roaming the malls for that perfect gift. Only the individual can put a price on their time, but whatever it is it adds a certain cost to each purchase. Many people like to get a feel of the quality of an item before they purchase it, or just enjoy the shopping process, yet still want the money saving benefits that online shopping provides. This being the case, many applications have been developed for smartphone users that will inform them as to the best online pricing. Most of these apps have bar code scanning capabilities making it ultra simple to check prices online. I personally use the Save Benji’s+ application for the iPhone which let’s me scan a barcode and get comparable pricing for both online and local retailers. My Android friends like Barcode Scanner, which is a free app in the Android Marketplace. The internet and smart phone technology has come a long way over the last four years, leading to an evolution in how we look at the internet. Although shopping online does not have the same ambiance and atmosphere as hitting up the mall during the holiday season, it will afford you more time with your family, and in the end, this is the most important aspect of the season. The extra bucks in your pocket isn’t a bad by product either. So use the technology that you have surrounded yourself with to save you family some time and money and have a joyous holiday season.